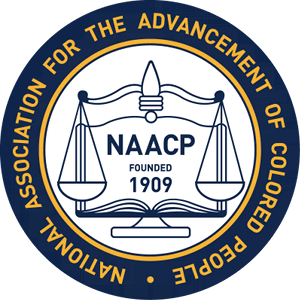 The NAACP a non-profit organization dedicated to the "Civil Rights" movement, defending and protecting the rights of all minorities. As a national organization we represent and aide people in need. Ensuring the political, educational, social, and economic equality of rights of all persons, to eliminate racial hatred and racial discrimination. There isn't a state in America that wasn't touched by the NAACP in 2017. We made tremendous progress on voting rights and voter registration, fought for justice and against racial profiling, and helped defeat the death penalty in Connecticut. Supporters like you helped us accomplish so much, but we need you again this year. We need to keep the pressure on Congress to pass real legislation to create jobs, end economic inequality, and improve education. We need to make sure the Affordable Care Act is implemented so millions of Americans have the healthcare coverage they need. We need to keep fighting for voting rights in the face of those who seek to make it harder to vote. Join our community fighting to protect civil rights and human rights and beyond. 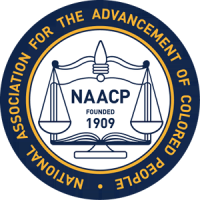 The local chapters of the NAACP are operated by elected officials and local volunteer's. Make your donation to the NAACP today.